If you would like to become a partner or sponsor of the Palestinan Bazaar, please send us an email. Promotional Partners of the 2015 Palestinian Bazaar will be announced soon. Humanserve International would like to give special thanks to the donors, sponsors and volunteers who are helping to make this a very successful event. Our mission is simple; design and build communication infrastructure vital to sustain the consistent flow of data for networks and automated systems. 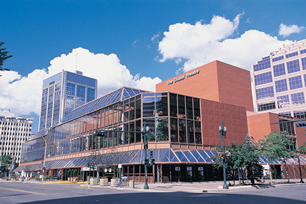 Founded in Edmonton in 1993, BIE is now one of the leading engineering companies in the city. We are proud to be family owned and operated and continue to deliver what we promised from the beginning…Professional, Reliable, Honest and High Quality service. We provide structural Design Services to Homebuilders, Developers, Homeowners & Architects. Whether it’s a small project for a single homeowner or designing a whole subdivision, we can accommodate and ensure your project is done right, ensuring you have all the permits and the work is 100% compliant. Specialilzing in saj bread, mana'aeesh on the saj (different varieties) and shawarma sandwiches on the saj. Catering for all occasions offered as well!!! Their menu is 100% halal. At Oxford Dental, our dentists and dental staff can help you achieve the smile you have always dreamed of. Providing General Dentistry, Cosmetic Dentistry and Teeth Whitening. Providing pharmaceutical management solutions for community pharmacies and medical clinics. "Don't speak computer? No problem - I speak Human!" Specialising in high quality, rapid turn-around, graphic logo and web site design. TCNG is about information on employment opportunities, workshops, seminars, health & wellness retreats, and special events in the non-profit sector in Edmonton & beyond. Mojo Photo Booth is the ultimate photo booth entertainment experience. We’ve perfected photo booth technology and are dedicated to providing your event with an unsurpassed dimension of fun! We are exclusively a photo booth rental company and specialize in this industry. With no other obligations other than providing the best photo booth rental experience we guarantee 100% satisfaction to our clients from start to finish. We can provide a private enclosed booth or a open air party booth. It’s your choice! Mission: To foster and encourage cooperation among its members. 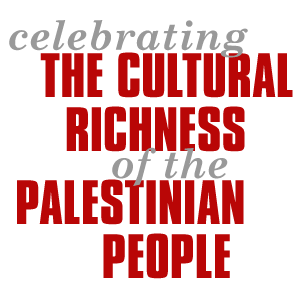 To promote the Palestinian Arab cultural heritage and to share the same with other Canadians. To disseminate information regarding Palestinian matters to Canadians. To encourage Canadians of Palestinian origin to participate in Canadian public affairs and organizations. To enhance mutual understanding between the Canadian and the Palestinian people. To promote cooperation between the Association and other ethnocultural organizations and groups, Arab or otherwise. To promote work of a charitable tribute between Palestinian Canadians and other Palestinians.